Paleokastritsa holidays have wide appeal. 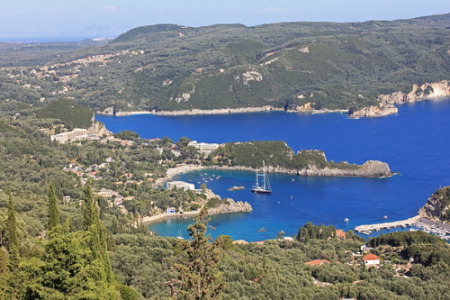 Located on the beautiful west coast of Corfu, holidays in Paleokastritsa can be as relaxing or as active as you wish. With a choice of beaches and a wide variety of leisure activities both in and out of the water, the resort can satisfy most people. Holidays to Paleokastritsa can be take from April to the end of October, with summer, when the temperature rises to the low thirties, being the most popular time to travel. If you are looking for a guarantee of summer sun amid stunning scenery, you may be tempted by our cheap Paleokastritsa holidays. With good accommodation, restaurants catering for all tastes and nightlife to suit all moods, our Paleokastritsa holiday bargains are bound to please. For further details and to find our last minute Paleokastritsa holidays, please use the search facility.